INOSYS LBS DC PV TRIP are multi-polar load break switches which are available with integrated tripping function. They can be operated manually using the handle or remotely (via tripping coils) to disconnect part or all of the electrical installation. 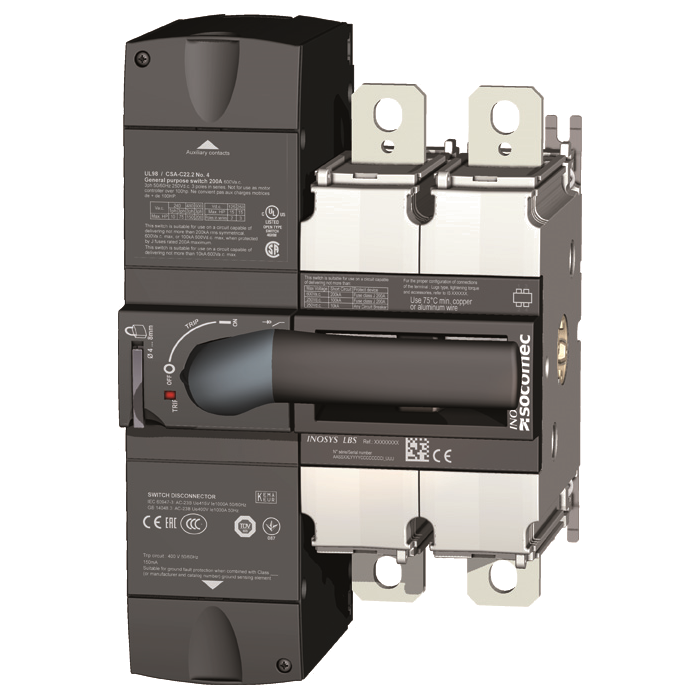 They make and break under load conditions, provide safety isolation for any low voltage circuits up to 1500 VDC and are suitable for emergency switching.